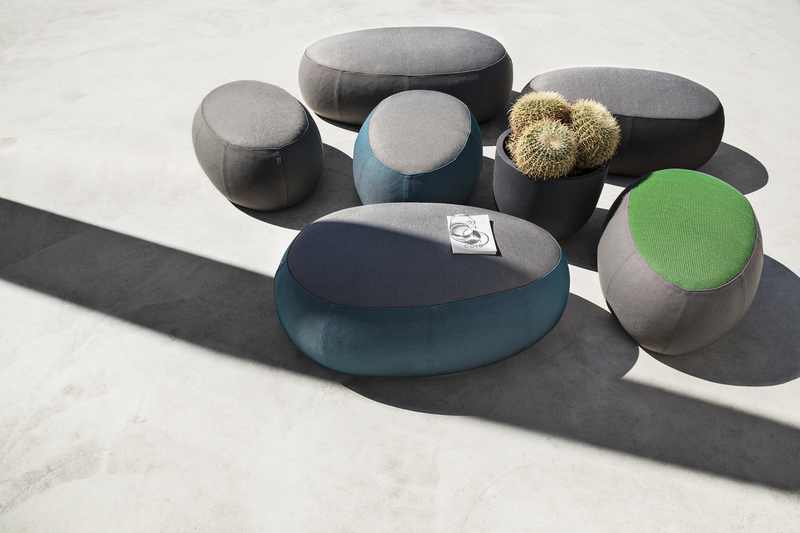 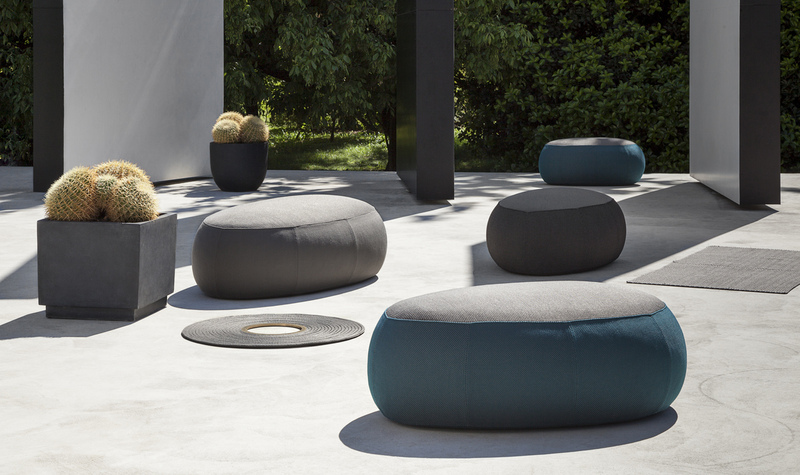 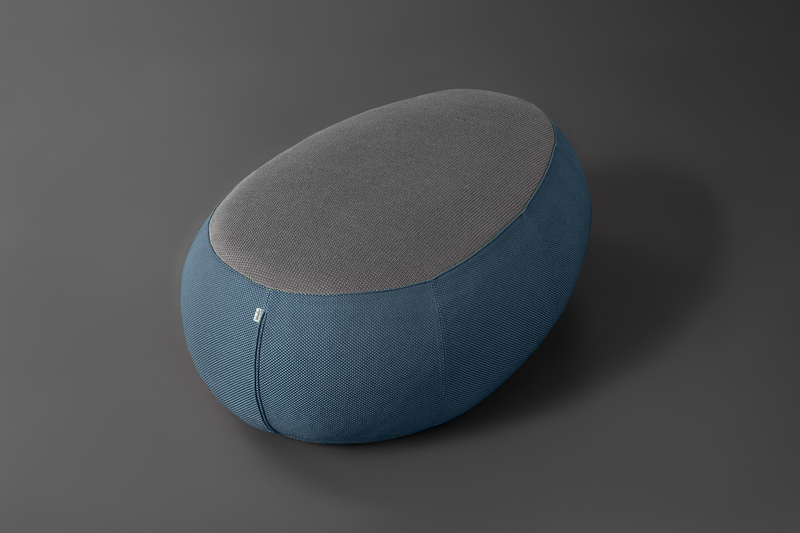 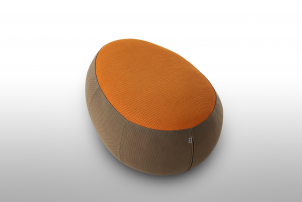 The Stone Islands are a new version of our outdoor islands poufs. These soft shaped islands use a combination of our exclusively designed Surface Tex fabrics that we designed specifically for this range. 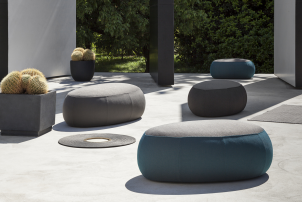 This lounge seating series is available in three sizes and forms a dynamic island seating archipelago when grouped together. Featuring G4 Crochet on top and G5 Structures on side. 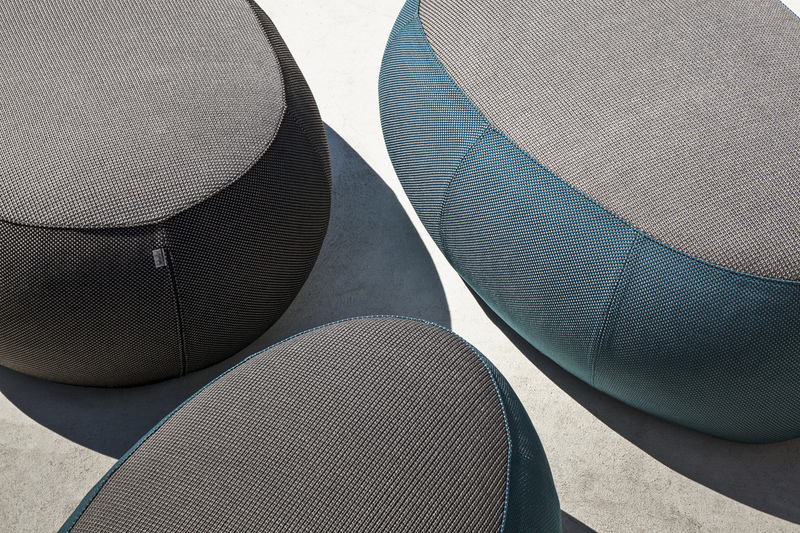 About the Stone Island in Small, Medium or Large. 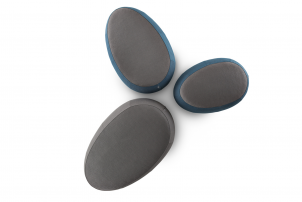 The foam offers a high performance rebound and compression ratio. 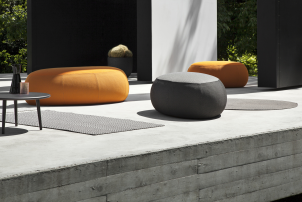 The Surface Tex G4 Structures and G5 Crochet are fabrics exclusive to Lebello.